With the holidays fast approaching, the pressure to find the perfect gift is on. While I enjoy some shopping on the interwebs, I like it better in person. And what I like the most is heading out to my favorite local shops in search of the ideal present. Which is why I’ve put together a small list of some fabulous places in St. Louis and surrounding area to pick up gifts. From the hostess to the husband, there should be a place on this list to pick up something for everyone! Quite possibly my favorite shop in St. Louis – it’s stocked full of quirky nic-nacs, books, & jewelery. The perfect place to find an off the wall gift for a weird uncle or a pick up a copy of Insults & Comebacks For All Occasions for an obnoxious little brother. My favorite thing in this shop, other than the mustache socks, which I have purchased as a gift before, is the completely unique jewelry selection – all of which I’d love to own. 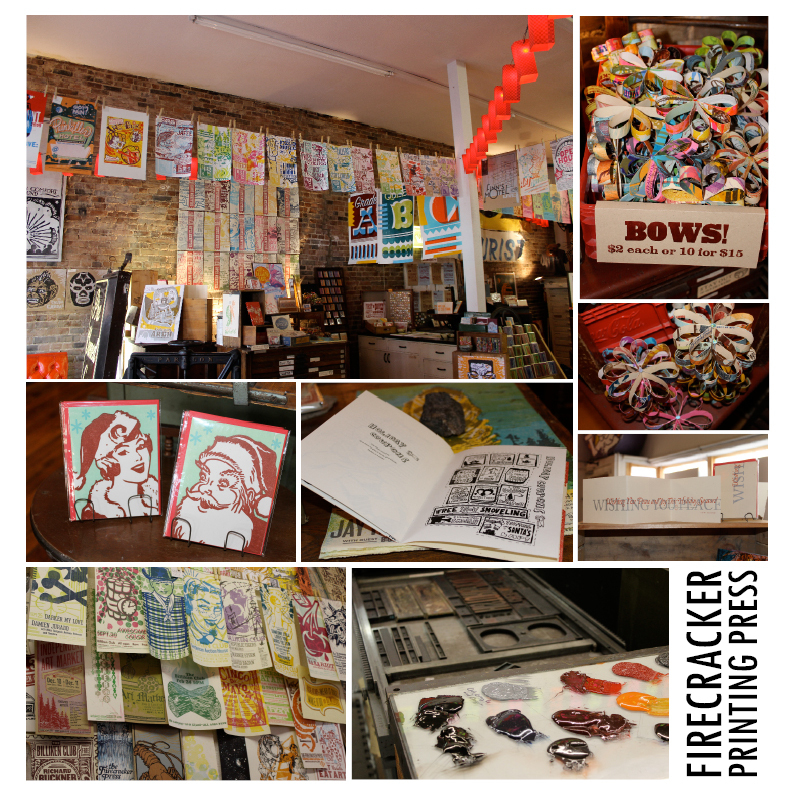 Home to an extensive number of handmade prints, Firecracker Press is one of a few printshops in St. Louis. Mixing graphic design with old school woodblock carvings, this letterpress printshop most certainly has a poster, card, bow or book to suit someone on your list this year! This lovely boutique in the Central West End is full of fantastic clothes and gorgeous jewelery, with the odd handbag hanging around. 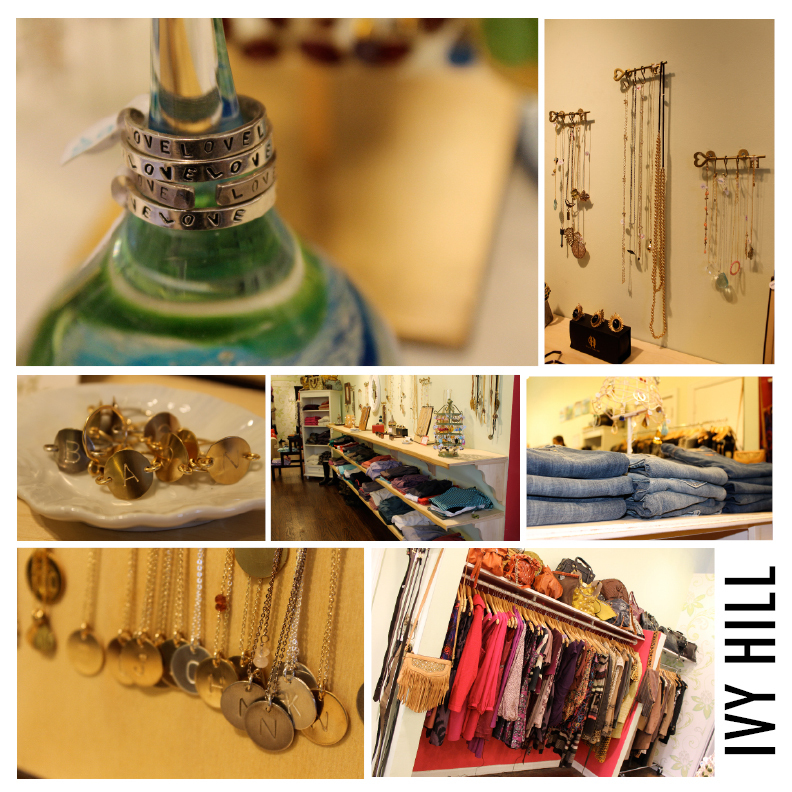 The ideal place to shop for someone on your list who is a stylish dresser, or perhaps a major accessorizer. One of St. Louis’ many micro-breweries, this one specializes in sodas! A trip to the restaurant located in the Delmar Loop will fill you mid-shopping and give you the chance to pick up some soda for one of the many holiday parties you’re attending. 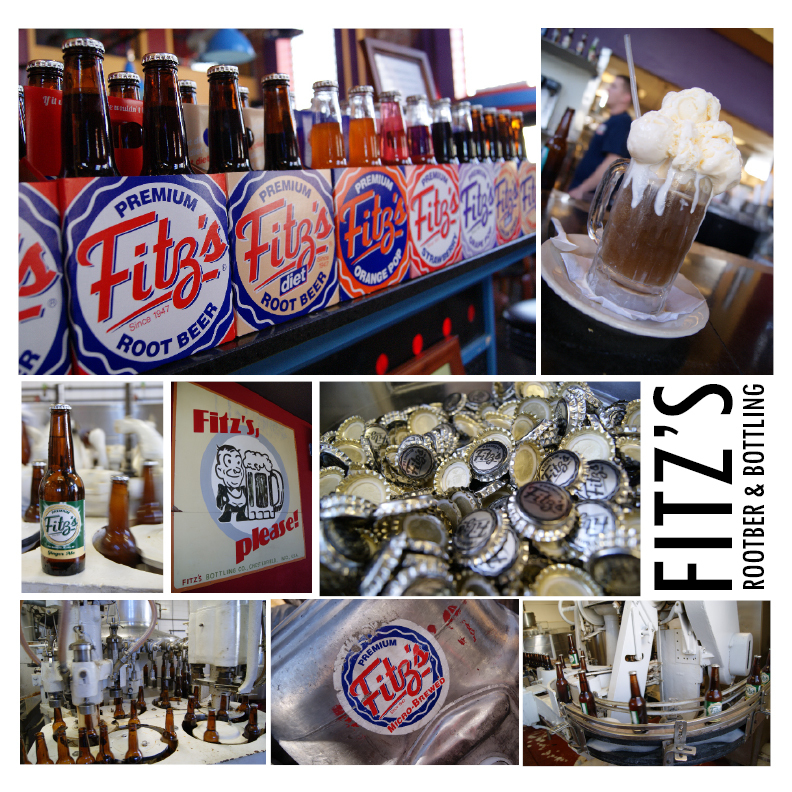 You’ll also get to see the vintage bottling line that bottles all of the Fitz’s sodas. Also perfect for sending a bit of St. Louis to friends and family far-away – Fitz’s will ship soda to anywhere in the country! 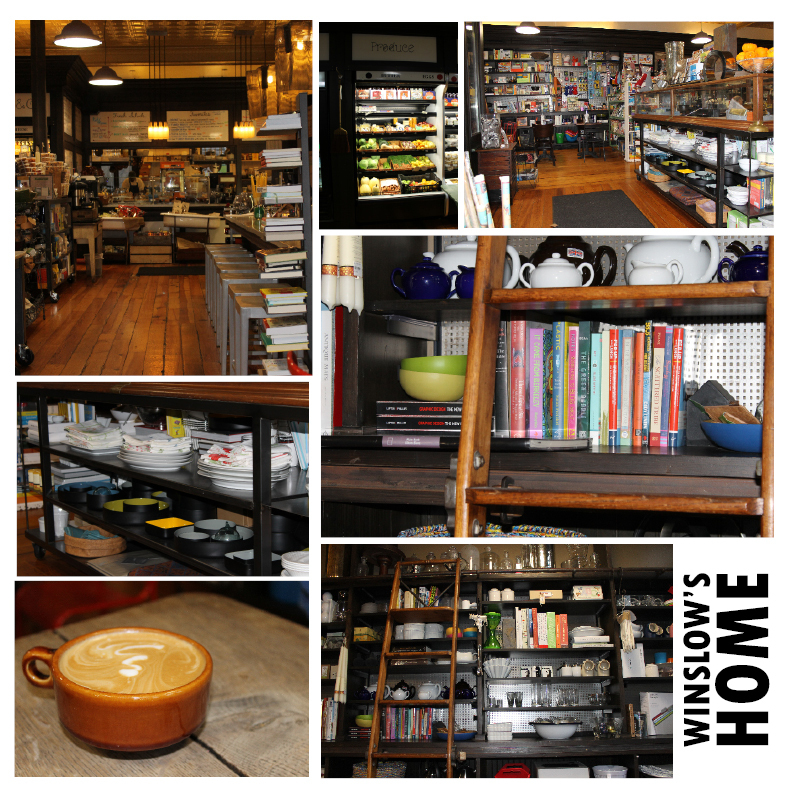 From folding kitchen sieve’s to farm fresh cookbooks, Winslow’s Home is stacked shelf upon shelf of perfect gifts for the cook in your life. Not only are there a gazillion gadgets I want for my own kitchen, but they also have the odd ball items like Moleskine Notebooks and adorable wrapping paper. Stop in for breakfast and pick up a few stocking stuffers while you’re there! Feel the absolute need to buy gifts online this year? Check out this online shop founded in St. Louis! 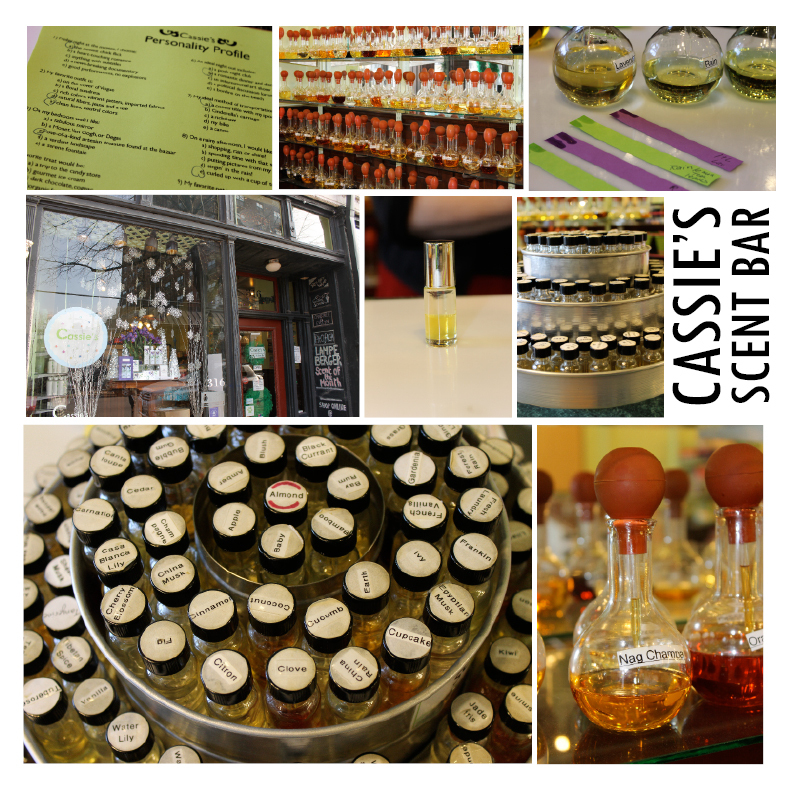 Every skin care product, perfume oil and soy candle is made right here in STL. 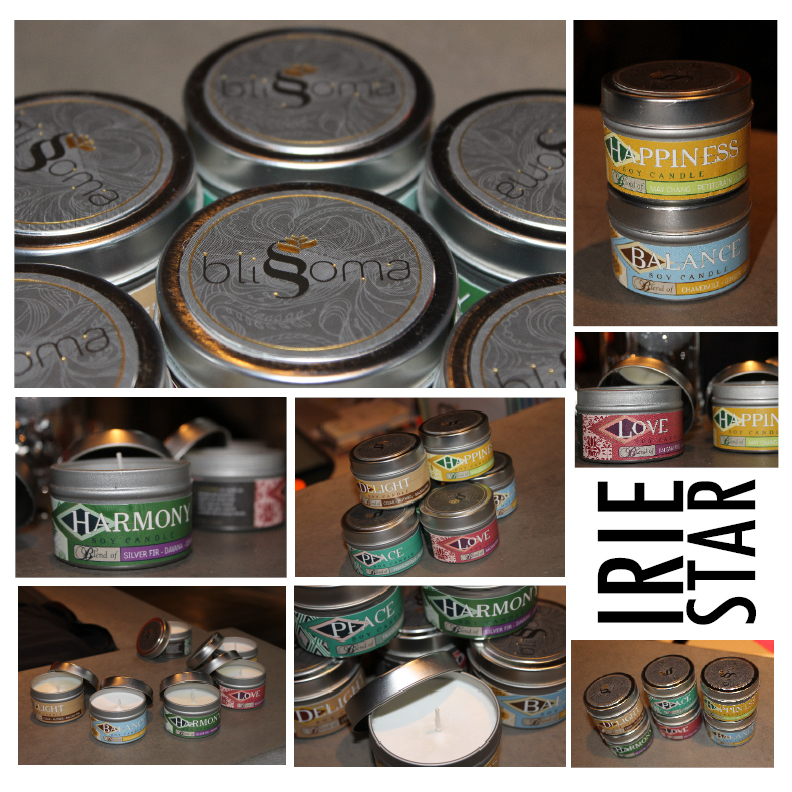 With ten different scents ranging from rich woods and spices to citrus mixed with basil, the soy candles are perfect for a co-worker or hostess on your list! Great places! 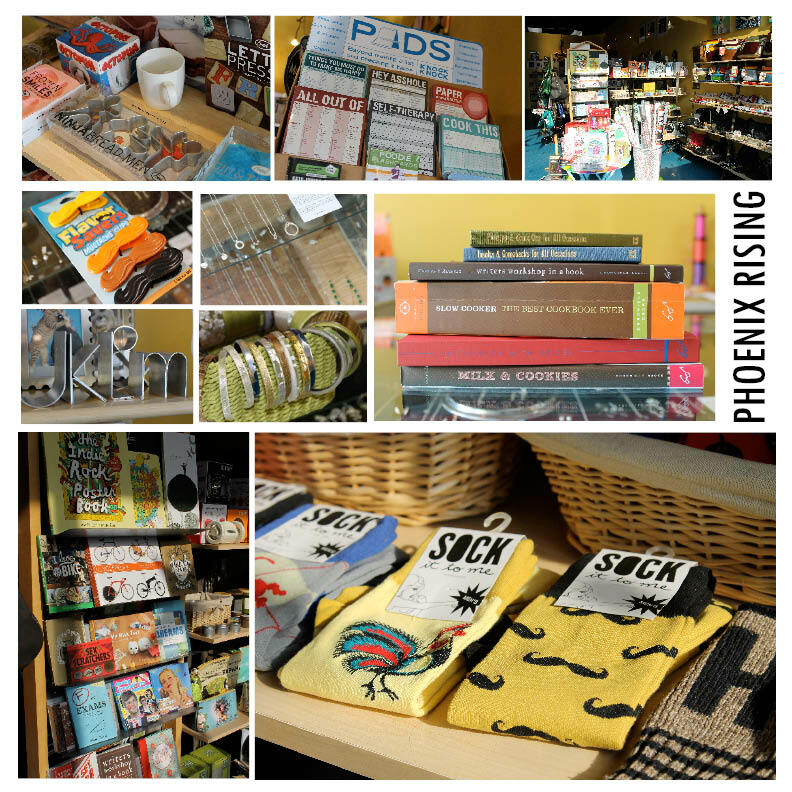 A couple of my own suggestions – All Along Press on Cherokee Street for great stationary, cards, posters and prints. Any local brewery that sells growlers for the beer lover in your life (I got the BF a growler from Schlafly last year and he loved it!). Merb’s Candies for Bionic Apples…. you know, because tis the season to eat til you can’t anymore. Plus if you go out shopping local, you never know who you might run into. Drew! It was a lovely run-in, catch up after the holidays. Love everything about this post. I have been making an effort to shop local and am compiling a huge “loca’ basket for my parents. I think I need to make a trip to Fitz’s!